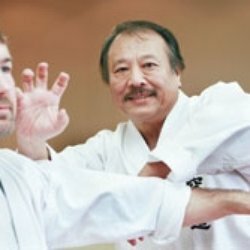 Canadian Karate Kung-Fu Association – A site for the members of our CKKA family to share techniques, photos, and stories. What a weekend! The biggest and best yet!! 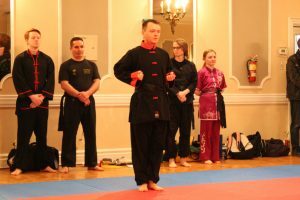 We want to thank Sifu David Moylan and Lee Deline of the Waterloo Kung-Fu Academy for organizing, hosting, and running this year’s event. 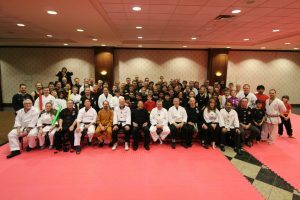 Held at The Inn of Waterloo, the weekend saw well over 300 students, instructors, and their family members for many events such as our Association Annual General Meeting, Tournament Competition, Martial Arts Seminars, Banquet with Demonstrations and Award Ceremony, Form Certification, and Rank Gradings. 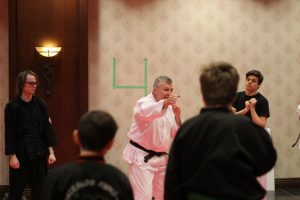 Many of the out of town guests arrived Friday evening to a warm and welcoming group of students and instructors from WKFA helping direct where anyone might need to go, as well as helping them with their event items. 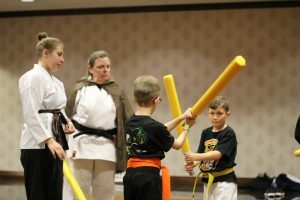 With many volunteers, they made quick work of their tasks in helping everyone pick up their registration packages, as well as set up the many mats and rooms needed for the events throughout the weekend. Our Annual General Meeting went very well, with some productive discussions and directions for the association over the next year. We look forward to accomplishing our goals, and to be able to share the results of them with all of you soon! 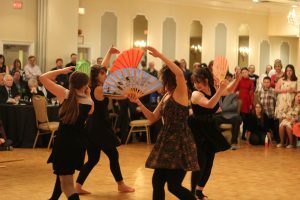 Saturday morning kicked off with a full banquet hall just short of 200 competitors ready to show off all their hard work in preparation for this year’s competition. 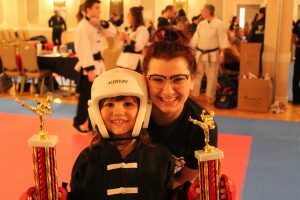 There were wonderful displays of Kata, Forms, Weaponry, Sparring, Creative, and Team Performances across all age and rank levels. After a short lunch break, the Seminar Training Pods began. 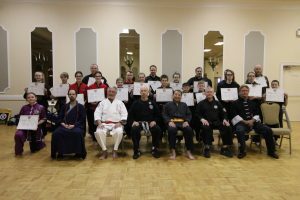 About 100 students had the wonderful opportunity to learn from many masters of Martial Arts of several different disciplines, and it looked like everyone could not have been more than happy to get to see and train and work with so many of their dear friends and instructors who they have the chance to see once a year at these events. 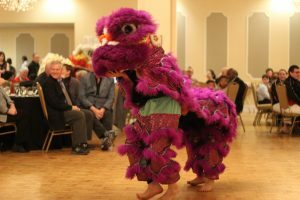 Lastly, was some special thank you awards to David Moylan and Lee Deline of WKFA for organizing and hosting this year’s event. Sunday morning began with a seminar taught by our Grand Master of the CKKA, Si Tai Gung David Chong, instructing almost 50 students in the Shaolin Spear vs. Broadsword Form. 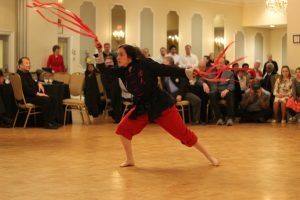 The spear side was taught this year, and the Broadsword side will be ready to teach everyone at next year’s event. 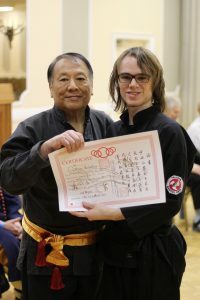 The last part of the weekend saw 33 students performing for Animal Form Certification and Black Sash Ranking. 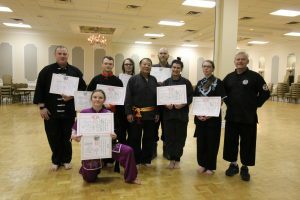 Judged by a strict panel of some of our senior CKKA instructors, Steve Rushmere, Darrell Couchie, Marc Valois, Si Tai Gung David Chong, Ken Tallack, Noel Davis, and David Hackett oversaw the examination procedures with Kyle Cochrane and Karen Gray assisting. 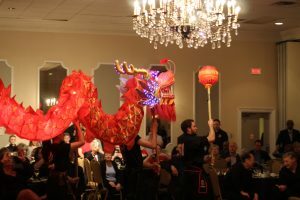 4th Degree Black Sash – Matt Lord and Rick Dupuis All in all, it was a wonderful weekend, and we cannot wait until next year’s convention weekend where we can do it all again! We will let everyone know approximately where and when as soon as we possibly can. We want to heartfully give a big thank you to everyone who attended, it would have not been the success it was without your support. We look forward to seeing you all again next year! 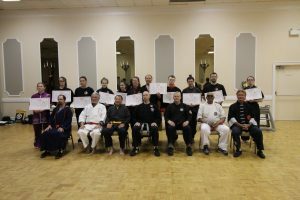 The Canadian Karate Kung Fu Association is a volunteer-run, not-for-profit organization whose mission is to provide a community for all of the martial artists that practice the styles from the original Canadian Karate Kung Fu Club (CKKC). 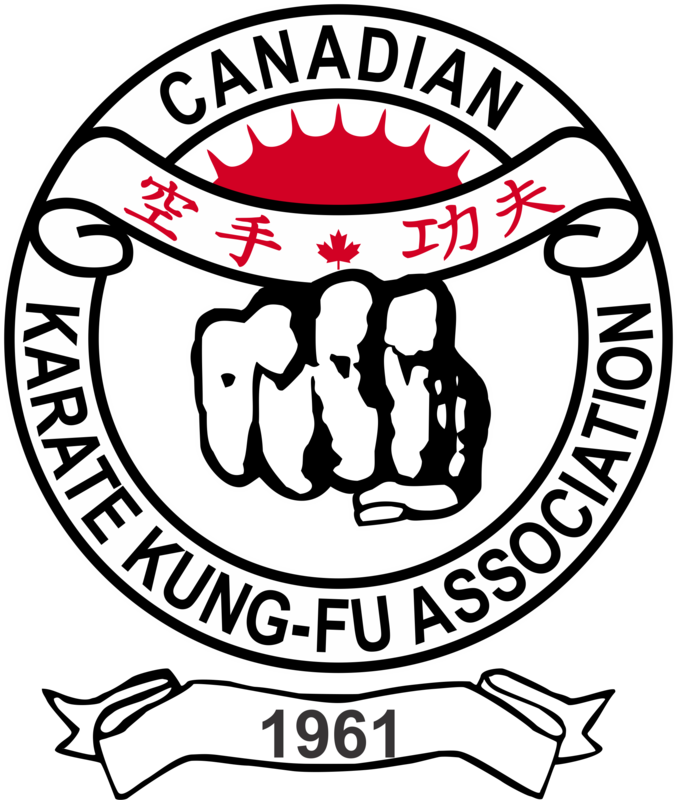 The name was changed in 1961 to the Canadian Karate Kung Fu Association as the organization grew from one location to locations throughout Ontario and eventually across North America. Canadian Karate Kung-fu Association Copyright © 2016. All Rights Reserved.